While walking our puppy, I found this feather. nestling itself against delicate greenery. a gift for a photographer. Today, I'm also contributing to Kim Klassen's, The Inspiration Studio. I hope you can join me there as I share images of my favorite things. Kim has made some exciting new changes to the iStudio site. I think you will love this space! I absolutely love these shots, they're gorgeous. I always marvel at the things we stumble upon when we're out with our camera, so beautiful. It's beautiful indeed! A few things has happened. Firstly, the feather is soft and beautiful and chose to fall on an amazing background and caught the eye of an artist. We could have easily missed this beauty. The second image takes my breath away. Just look at the wispiness of that delicate feather. To think, that plume layered with others and sewn onto a beautiful bird helps enable that creature to fly. Both images are stunning. I love the first one for duo of textures. The second is so gentle and calming. I could see it as a canvas above a bed. Such an exquisitely beautiful feather. I love finding these - leftovers from birds come and gone!!! Both of these are so simple and so simply beautiful Anna! What a precious and beautiful discovery! Wonderful photography. Both amazingly beautiful shots Anna! Thank you so much for sharing your images! 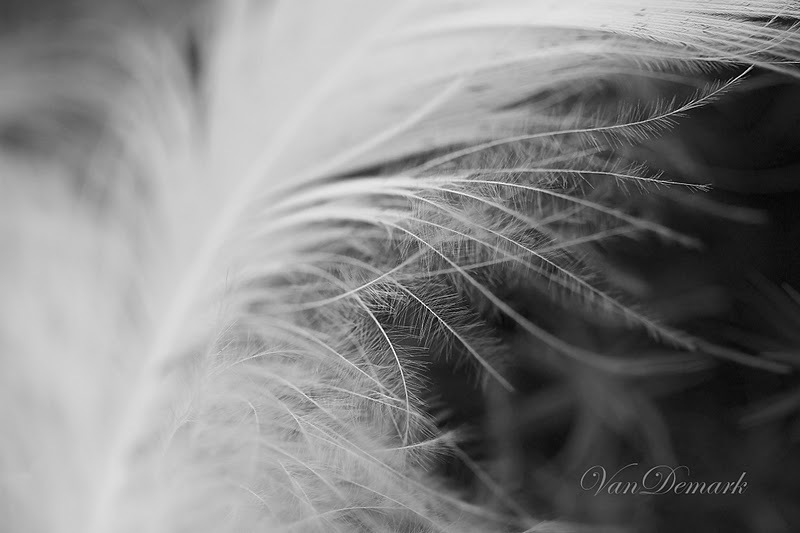 The black and white picture of the feather is simply beautiful! Lovely! My beautiful, beautiful postcards arrived today. I adore the colors!!! The photos are wonderful. Thank you so much for such a lovely present. the changes to the inspiration studio are great!!! What a lovely find and so graceful and delicate! I love the editing of both of these! That's a very pretty feather and you caught it so beautifully. Gorgeous details, I especially like the monochrome image. 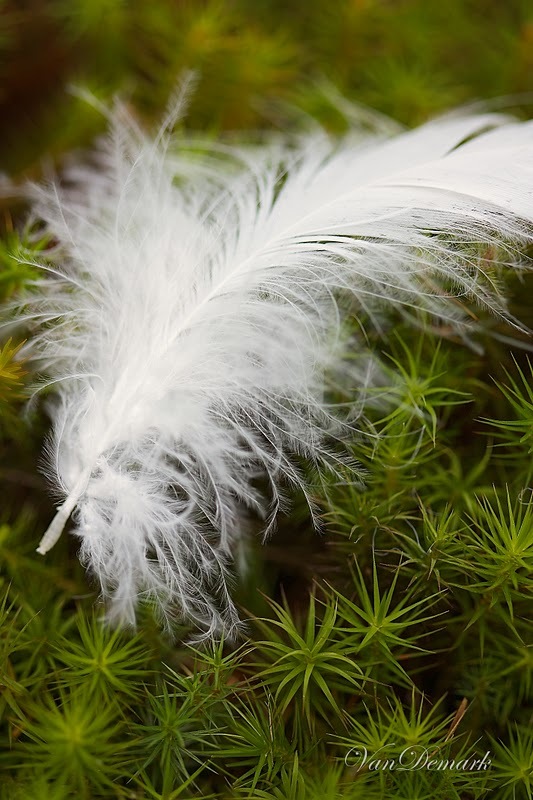 Great description of the feather as "a gift for a photographer". Wonderful photographs, especially I like the second one. Love the macro shot the best! Beautiful details. Visiting from The Creative Exchange. Oh, what the cute feather!